Have you finally decided that your yard is just too much to handle and you need a professional to help you out? Maybe you are trying to sell your home and more curb appeal? You are not alone. Regardless of how hard you try sometimes, you can’t prevent weeds and you may have crabgrass that takes over and you can do nothing to turn it around. Potential home buyers form their first impression of a home from its curb appeal. Yet often a home’s outdoor landscaping is overlooked, or underdone, in the preparation for the sales process. An attractive and well-maintained landscape can add as much as 10 percent to the value of your home. A 10% increase in home value is a lot in todays market, so anything you can do to increase your curb appeal is probably worth the time and money. In this DIY Reviews article in our Lawn & Garden section, we will discuss how to find the right landscaping contractor for your particular lawn or project – whether you just need your lawn to look better, or you are looking to design a completely new yard. Hiring a landscaping contractor is an important decision and if you want to have a lawn that stands out from the rest, it is definitely worth the cost. Finding the right contractor, however, is not always easy. There are many “fly-by-night” landscapers that you probably want to stay away from – unless of course you only need your lawn mowed. 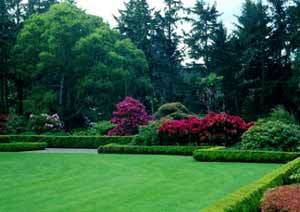 Most of us see lawns every day and want ours to look like theirs. So why not find out who they had do the work? It is a simple thing to do, and if you don’t know that neighbor, it opens up the door to a new neighborhood relationship. You should also ask for recommendations from family. Family is more likely to tell you the honest, brutal truth about a company. The good, the bad, and the ugly. Know what you want to have done before you go searching for a landscaper. You need to have specific goals for what you want your yard to look like when it is all finished. If you see a yard you like, take a picture of it. Find pictures in magazines or online. 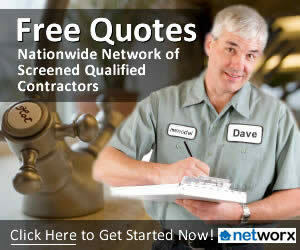 By doing this, you will be able to ask contractors specific questions about what they can and can’t do. If you know exactly what you want, you can more easily describe it to them as well. The landscaping company that you choose must have insurance. The last thing you need is for them to puncture your gas or water line, then not have insurance to fix it. This can be a costly expense, so if the company does not have insurance, move on to another company. What the end result what you asked for? Did they stay on budget? Overall feeling about the company? You might also ask if you could ride by and look at their yard just to confirm. Although you may find many companies that are not registered with the Landscape Contractor Board in their state, as of 2010, the U.S. government requires landscapers to have licenses. Most larger, reputable companies will be licensed and bonded by this organization and you can put the utmost trust in them to make sure things are taken care of properly. If you make sure they are licensed, you will have legal recourse in case something goes wrong. If you are looking for a landscape designer, you should check with the Association of Professional Landscape Designers to make sure they are certified and licensed with the state. You should contact the Better Business Bureau to make sure the company you are considering is in good standing. This can give you a good indication of their good (or bad) reputation. As you can see there are many things you should consider when hiring a landscaper and if you do your homework, you can have the beautiful new yard you want and increase the value and curb appeal of your home!